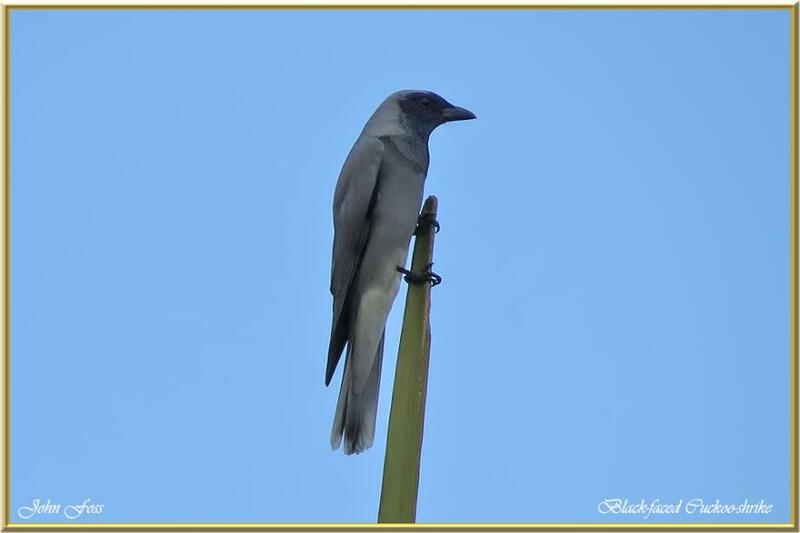 Black-faced Cuckoo-shrike - this inconspicuous bird is native to Australia where it is a protected species. It lives on a diet of insects, fruits and seed. They like to flock in their hundreds during the breeding season although this was the only one I came across in Bundaberg Queensland Australia. Ah well, Better luck next time!